UPDATE 3:07PM— This afternoon, CPD spokesman Anthony Guglielmi tweeted that the two suspects have been released on electronic monitoring. Two juveniles are in custody and facing charges in connection with Tuesday evening’s mugging of an 80-year-old woman in Lincoln Park, police said. Family members brought the boys to the Area North Headquarters today after seeing a surveillance image of the suspects that police issued to the media on Wednesday night, Chicago Police Officer Christine Calace said. The juveniles, ages 16 and 17, are charged with one count of felony robbery of a victim over the age of 60 and one felony count of aggravated battery of a victim over the age of 60. Witnesses reported seeing two boys knock an elderly woman to the ground and take her purse in the 1400 block of West Lill at 5:20 p.m. on Tuesday. 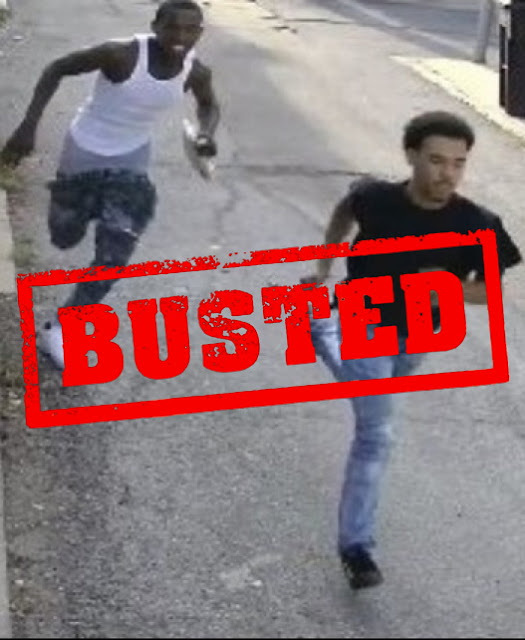 Late on Wednesday, police issued this surveillance image that allegedly shows the suspects running from the crime scene. The victim was not seriously injured and did not require emergency medical assistance, police said. Further information about the suspects will not be released because they are juveniles.